Two noted relationship experts Wally Goddard and James Marshall offer down-to-earth advice for any couple who wants to strengthen their marriage and make it last a lifetime. In this important book the authors outline their six-step program-commit, grow, nurture, understand, solve, and serve-that has proven to be effective. 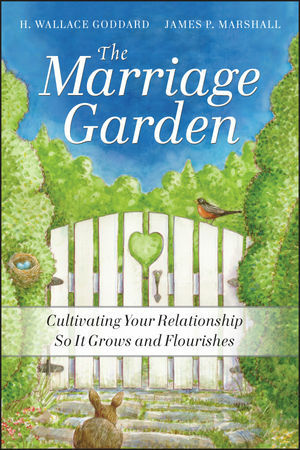 Using a bountiful garden as a metaphor for a healthy marriage, the book encourages couples to invest time in growing their relationship, shine the light of encouragement on each other, deal with "bugs" and "thorns," and share time and resources to make the whole world blossom. An honest and accurate look at relationships that offers couples a solid foundation for nurturing and growing their love. H. Wallace (Wally) Goddard, PhD, is professor of family life with the University of Arkansas. Dr. Goddard is an award-winning teacher, speaker, and author. James P. Marshall, PhD, is assistant professor of family life with the University of Arkansas. Dr. Marshall is a licensed marriage and family therapist. Both Goddard and Marshall are part of the National Extension Relationship and Marriage Education Network. Introduction: Welcome to the Marriage Garden! 1 Commitment: The Choice to Pledge Your Best Efforts. 2 Grow: It Takes Vibrant People to Create Vibrant Relationships. 3 Nurture: Do the Work of Loving. 4 Understand: Cultivate Compassion for Your Partner. 5 Solve: Turn Differences into Blessings. 6 Serve: Give Back to Your Community. 7 Gardening, Harvesting, and Planning for the Future.